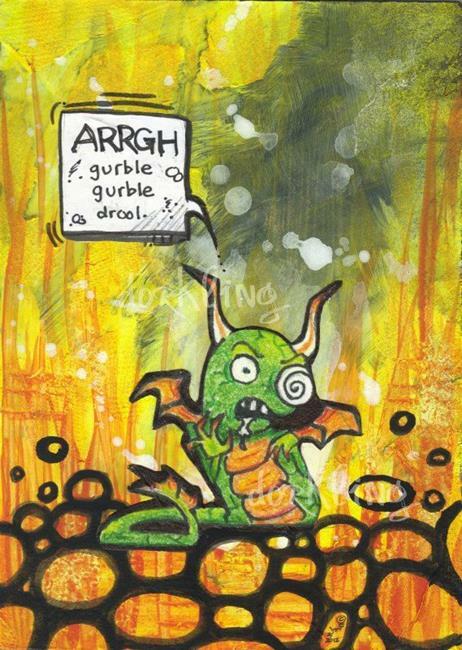 "Gurble" was created in mixed media- acrylic paints, assorted papers, inks, and acrylic sealant on a 5" x 7" masonite panel. Initialed on the front; full signature, title, and date are on the back. Sealed, wired, and ready to hang/frame. 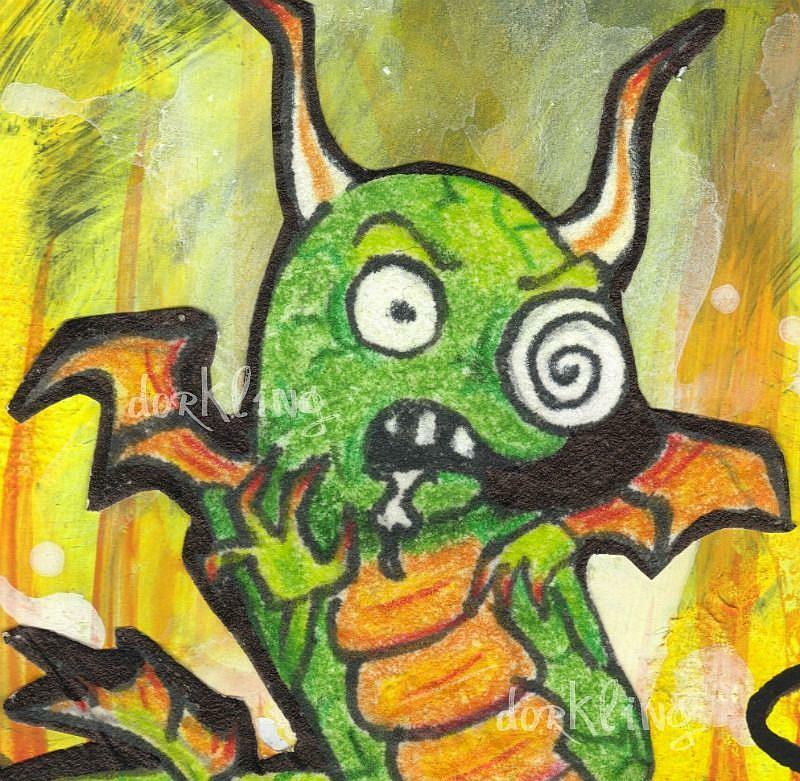 Watermark is for online display purposes only and will not appear on the actual art! 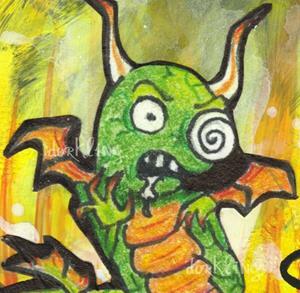 The original piece is available for purchase HERE in my zombietoes etsy shop!